I was pondering the time that has gone by in my life, I’m 64 and the time that means I have left. Obviously the former is greater than the latter unless I discover the cure for reincarnation and even that would mean I might be an ant or an eagle and not Rocking Rod. Take everything you’ve ever learned – all the crazy experiences and lessons – and place it all in a box labelled “Thank You”. In life, you usually get what you ask for, but it rarely comes in the package you think it’s supposed to come in. The past can’t hurt you anymore – unless you let it. Maturity is not when we start speaking about big things, it’s when we start understanding the small things. Life is like a rainbow, you need both the sun and the rain to make its colours appear. Never let one bad day make you feel like you had a bad life. Live in such a way that if someone decided to speak badly of you, no one would believe it. The only time you should look back is to see how far you’ve come. Things change, but the sun always rises the next day. The bad news: nothing is permanent. The good news: nothing is permanent. 1. I love the saying, It’s not the peak experience that affects your life the most, its what you go and do after them on a day to day basis that makes the difference. 2. Makes me think of the saying time stood still as our eyes met across the room, did it really? : My Heart Will Go On. 3. Love to give the words of Love, you never know how long you have got with each particular person. 4. This quote is the right colour and theme for this song: As Time Goes By. 6. With age, comes logic, or so they say: Under Pressure. 7. Henry Austin Dobson (18 January 1840 – 2 September 1921) was an English poet and essayist. In 2005 the Industrial/Nu-metal band, Industrial Frost, used the words of a Dobson poem called “Before Sedan” as the lyrics of a song of the same name. 8. Different ways to think about time: Only Time. 10. Not even our remains, they change as time goes by: Some People Change. 12. Yes, both types – The Shadow and the Light: This is Me. 13. And it was, amazing!! 14. If we get it right, we spend our time as both the teacher and the student: Paradise. 15. And for the final lesson, three salient points. So here’s to the sun and the rain that makes up our lives day to day as time goes by, enjoy the ride. Today’s playlist contains a few tunes from the movies – we begin with Celine Dion, the classic time song by Sam, Queen and Enya from the British scene then from the States, Montgomery Gentry, The Greatest Showman Cast and finishing with George Ezra: Nurture your mind with Great Thought. It took me 59 years to come up with my life ethos and purpose of Love and Respect for All, Everyone Included. I would recommend finding it a little earlier. Until we speak again my dear friends. Don’t Let Anyone Else Hold The Pen!! Back to Marc and Angel Chernoff for today’s blog, I stubbed my toe on their book 1000+ Little Things Happy Successful People Do Differently: Hit them Up… As is my practice when writing about a possibility I open the book to any page and voila, that is the subject for today. On page 139 is the heading “10 Ways to WRITE a Life Story Worth Living” appeared. Find a Passion that makes you come alive. Work hard on that Passion. Live happily in your own way. Change your path when you must, but keep moving forward. When the going gets rough, keep fighting. Let go of the past and live consciously in the future. Embrace new ideas, lessons, and challenges. Appreciate the little things in life that mean a lot. 1. This beautiful image could be included on your vision board. 2. Not all testimony is in the negative: when you have the feeling your words can make a difference, speak them: Song for Someone. 3. Yes, You, the unique human being you are. Go on, you can do it. 4. Mine says I am an Interculturalist: Love and Respect for All, Everyone included. Over to You: Live your Story. 5. As Helen says, It will not always be easy. As Marc’s point 5 says, keep fighting during these time. Each little step makes a difference. 6. To my new friend Josie, you are editing at the moment, your writing is magnificent: Write your Story. 7. Excitement to me is covered in the expression Lolly Gobble Bliss Bombs. 8. Ready, Set Write!!! : So Much Magnificence. 9. Even the stars don’t necessarily have great stories. Greta was one of Hollywood’s shining lights in her time. 10. And how could we leave out Deepak when writing about our lives: Change Your Life. 12. 我是, Wer bin Ich, qui suis-je, ko wai Ahau, kas aš esu, هستم: Who I am. 13. We all have friends we can do this with: don’t be stingy. 14. To each of our glorious adventures: Yay!!! : This Is Me. 15. And finally, some blank pages for you. Today’s playlist even contains both types of music, County and Western. We begin with U2. Then to the European continent for Auli’i Cravalho and Francesca Battistelli. I just had to put in Miten and Deva Premal’s song about magnificence. Who would have thought I would ever include a Little Mix song, but here one is. Jessica Andrews is next and we complete with the cast of the Greatest Showman: Remember, Don’t Let Anyone Else Hold The Pen. We Can’t Direct the Wind, but We can Adjust Sails!! I was browsing through the offering of Brian Johnson’s Philosophers Notes, when he commented that he had never come across a book that he would recommend to read to help live an ideal life until he read Sonja Lyubmirsky’s The How of Happiness: A Practical Guide to Getting The Life You Want: Get It Here. The key tenet of THE HOW OF HAPPINESS is that every human being has a happiness ‘set point’ which, depending on how high or low it is, can determine how positive or negative they feel. This book offers a practical approach to help readers increase their set point, and find a level of happiness above that which they would normally feel, and feel more satisfaction in life. 1. Considered one of the happiest people on the planet, His Holiness The Dalai Lama knows it is through your actions that this state is achieved. 2. The first of the 12 activities mentioned above, expressing gratitude for the fact that recognising what we have is a powerful first step to happiness: Grateful. 3. A moot point to remember in the dark times. 5. I got caught at the railway gates today, it went for five minutes. The person in the car behind me was losing it, this is a little thing. 6. Such a simple example, but beautiful in its concept: That’s Entertainment. 7. An empowering fridge magnet to read daily. 8. Dancing is one way I choose to do it: Feel Good. 9. Waitley was also a founding member of the National Council for Self-Esteem and a former chairman of psychology for the U.S. Olympic Committee’s Sports Medicine Council. A worthy life of Happiness what a great title for the council. 10. Happiness spreads when you release it into the world due to its infectious nature: Spread a Little Happiness. 11. Back to the 1400’s for this quote that leaves out 50 per cent of the population. Erasmus was considered the greatest scholar of the Northern Renaissance. 12. Out beyond the horizon of accepting your imperfections lies the land of happiness: Perfect. 13. From the man with the most famous bedraggled hair in the world, Albert points out that giving away your happiness to people and things don’t really work. 14. I spent many years trying to be liked by everyone, it cost me a great deal of happiness, I’m getting better at not doing it: You Can’t Please Everybody. 15. And for our final look we return to the beginning of modern time, Seneca was around from 4 BC-AD 65. Still very relevant today though. The Playlist from today’s blog is quite joyous as you would expect songs dedicated to happiness to be. Empty Hands Music begins the journey, followed by an anthem from Xavier Rudd. I sneak some rock in with the Jam next, then some EDM with Felix Jaehn and Mike Williams. It gets a little darker with Sting followed by a beautiful duet from Ed Sheeran and Beyonce ending with some old time Funk from Rose Royce: We Can’t Direct the Wind, but We can Adjust Sails!! Marc and Angel time. In chapter 6, Getting Unstuck . of their inspirational book, Getting Back to Happy: The Entry Portal. they write – “The truth is, it’s never too late or too early to be who you are capable of being. There’s no time limit for when you can start living the life you’ve always dreamed of. There is no mythical door that shuts after you turn a certain age, blocking you off from experiencing the things you want to do. Human beings are experts at trying to avoid change, but change avoidance is one of the biggest factors that leads to unhappiness. When we find ourselves in situations that challenge our self-perception, we often react by feeling trapped or on guard. We often think that the worst thing that can happen is that the status quo will be interrupted. But who wants to spend their life thinking and feeling this way. Happily, life has a way of throwing up red flags when it’s time for us to make a change – we just . have to be watchful for them. With that in mind, take a look at this list and ask yourself: are any of these the reasons I’m unhappy with my life as it is now? You catch yourself feeding the negative. Your mind is everywhere except right here, right now. You feel pressured to be someone other than yourself. You feel like you’re competing against everybody else. A relationship is making you miserable. Other people are writing your story for you. 1. Known for his statement on the difference between the East and the West: Asia is one. The Himalayas divide, only to accentuate, two mighty civilisations, the Chinese with its communism of Confucius, and the Indian with its individualism of the Vedas. But not even the snowy barriers can interrupt for one moment that broad expanse of love for the Ultimate and Universal, which is the common thought-inheritance of every Asiatic race, enabling them to produce all the great religions of the world, and distinguishing them from those maritime peoples of the Mediterranean and the Baltic, who love to dwell on the Particular, and to search out the means, not the end, of life. 2. The man behind the origin of the species conversation, this is his major reason for why they survive: We are all Related. 3. And what would our morning walks in Spring be like without the butterflies? 4. No one ever said there would be no pain: Smack That. 5. I grew up in an age where there was no internet, hard to believe. 6. Each wave of your life is a unique experience, take that in: Turn The Tide. 7. Advice from 25 centuries ago that is still relevant today. 8. The Monk who sold his Ferrari, Robin introduces a major reason why we need a change in our lives, It leads to gorgeousness: Gorgeous. 9. From my top ten people on the internet, Alan Watts calls on us to dive into change and life. 10. No equals Next Opportunity: Stand Up For Something. 11. And suddenly it all clears and its time. 12. Nothing in nature stays the same, so why do we as human beings think that we are meant too: San Francisco. 13. What if where you went in life was simply the detour you needed to take to make the change you needed in your life at that particular moment in time? 14. A sobering thought, not something most people would look forward to, but a reality for a lot of humanity: California Dreaming. 15. And sometimes the change may be that our field is returned to fallow – ploughed and left unseeded for a season or more. So if you are hanging around in the list above, what’s the alternative? It’s in recognising that changing your situation is about taking action in the present. It’s about asking yourself: what are the things that I can do to improve my situation now? It’s coming to terms with the ideas and thoughts in your head that are holding you back. It’s about deciding that you are going to stop waiting, stop making excuses, and start making changes, however small they may be. Allow the chaos to begin and your life will transform. Today’s playlist is eclectic in its nature. We begin with my favourite Nessi Gomes track followed by some rap for my nephew from Akon. Two pop divas in Sylver and Taylor Swift follow, then a possibility anthem from Andra Day with the list being closed out with two 60’s classics from Scott Mckenzie and The Mama and The Papas. Here is the link for your enjoyment: It’s Preceded By Chaos!! Human Beings are massively creative. We do not usually think of ourselves as creative. We allow that we might be a little creative at Christmas time when we wrap presents or decorate the house. But in every moment we are creating the stories that we tell to ourselves and to other people – the stories that give meaning to what happens in our lives. We do not tend to notice how vicariously we produce stories, because every three seconds the Box generates regenerates stories identical to what it created for us in the previous three seconds. That is how the Box keeps things the same: it ongoing creates the same stories. There are two classes of stories that we can create about what happens. By far the most common story we create characterizes us a victim of the circumstances. That we were a victim seems completely inarguable. The inarguability comes from our habit of interpreting “the facts” to show how we were hurt, insulted, abandoned, betrayed, abused, neglected, etc., forcibly establishing ourselves as a victim of a low drama. Telling a victim story from the Parent or Child ego states creates an ordinary human relationship. But we can take the exact same circumstances, the same incident, the same people involved, the same actions, and we could create a responsible story about being involved in these circumstances. Responsible stories place us “at cause” or “at cause” for the circumstances. Responsible stories come from the Adult responsible ego state and create an extraordinary human relationship. 1. Jean-Baptiste Poquelin, known by his stage name Molière ( 15 January 1622 – 17 February 1673), was a French playwright, actor and poet, widely regarded as one of the greatest writers in the French language and universal literature. His extant works includes comedies, farces, tragicomedies, comédie-ballets, and more. His plays have been translated into every major living language and are performed at the Comédie-Française more often than those of any other playwright today. 2. I think if you are being responsible for your whole life the accountability and ownership will be a natural follow-on: The Power of Responsibility. 3. Simone moves it up a notch or two. 4. Joyce Meyer is an American Evangelist whose motto is Sharing Christ, Loving People. Her love includes lessons for them such as the one above: Song for the Asking. 5. As the name after suggests, plugging up your excuses allows those changes that you want to make to fulfil your dreams to start happening. 6. Clinton calls this getting feedback and shifting forward: Slow Down. 7. Yes, those poor me stories you are telling years later, they control you. 8. Wikipedia gives a choice of Ruth’s mother in law from the old testament or a WWE wrestling star for Naomi, my inner gremlin likes to think it could be the latter: My Boomerang Won’t Come Back. 9. From the man who is not your Guru, comes some fine words as to what responsibility can offer you. 10. You have charge of yourself and your reactions, be responsible for them on a daily basis: Changes. 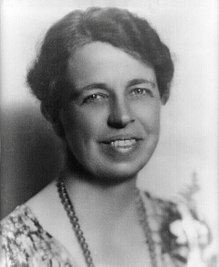 Oops, cut and pasted a wee bit too much, Anna Eleanor Roosevelt was an American political figure, diplomat and activist. She served as the First Lady of the United States from March 1933 to April 1945 during her husband President Franklin D. Roosevelt’s four terms in office, making her the longest serving First Lady of the United States. Roosevelt served as United States Delegate to the United Nations General Assembly from 1945 to 1952. President Harry S. Truman later called her the “First Lady of the World” in tribute to her human rights achievements. Oops, did it again, Anne Lamott (born April 10, 1954) is an American novelist and non-fiction writer. She is also a progressive political activist, public speaker, and writing teacher. Based in the San Francisco Bay Area, her nonfiction works are largely autobiographical. Marked by their self-deprecating humour and openness, Lamott’s writings cover such subjects as alcoholism, single-motherhood, depression, and Christianity: Definition of Prayer. 13. Start with self-love, then move on, it’s where the juice lies. 14. The man who gave me access to my Why, my purpose. Simon Sinek rocks: Start with Why. 15. More Self Love then the discovery of the juices in life. We can live from new responsible stories by taking full responsibility for creating our past circumstances just exactly the way they went, so that you can learn all that you needed to learn to get exactly here at this moment, reading this blog. The playlist contains some wisdom today. it begins with Sir Groovy 2007, two folkie tunes by Paul Simon and Nichole Nordeman. Two quirky numbers from Charlie Drake and Shrek. The wisdom follows from Anne Lamott and Simon Sinek. Here’s the video playlist: A Hero Is Someone Who Understands.